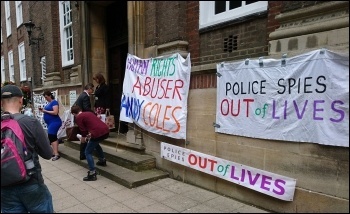 Despite being established three years ago with a proposal to finish in 2018, the undercover policing inquiry - to which I am a core participant - is now scheduled to finish in 2023. The inquiry is still in its preliminary stages. We are now on our third home secretary and second inquiry chair. The initial promise that inquiry would operate on a "presumption of openness" has been rapidly reeled in by the new chair, John Mitting. His appointment was greeted by all of us with concern, but those concerns have turned to anger. He has proved to be generally accepting of all submissions from the Metropolitan Police in relation to their officers requiring absolute anonymity. 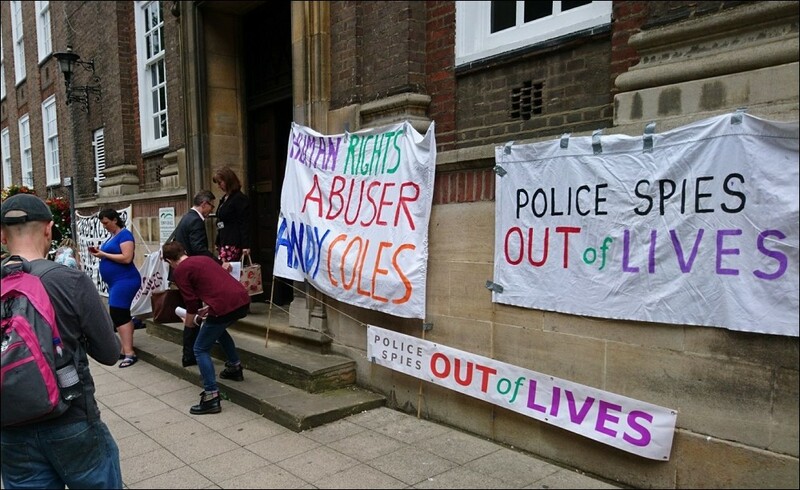 The fact that the spycops were trained to lie and are trained to tell a false story seems to have passed Mitting by. Such was the anger that in March 2018, Socialist Party members Hannah Sell, Dave Nellist and I, alongside hundreds of other core participants, walked out of the inquiry in protest. The walkout was at the lack of disclosure being provided to us. And the way the judge is dancing to the tune of the police by continuing to grant anonymity to officers. How can we play any role in the inquiry at this stage when we don't even know the many cover names that these officers used to infiltrate campaigns, trade unions and political parties? The inquiry has just released its provisional 'strategic review.' This document outlines its future direction. It effectively advises how it will operate, take evidence and deal with disclosure. Scandalously, the chair reports that he can continue with the inquiry without the input and evidence of core participants like myself, trade unionists who were blacklisted, women deceived into relationships and family justice campaigns who were spied on as they grieved for their loved ones. Mitting says: "The absence of evidence from significant non-state witnesses would of course be regrettable...but it would not undermine the purpose of the inquiry." In reality this inquiry would not have happened without the work of the many activists, trade unionists and socialists who exposed the role of undercover political policing. Now Mitting appears to be working on behalf of the capitalist establishment to ensure that the inquiry acts to cover-up the reality of political policing, both in the past and today. Socialists are campaigning to make the inquiry as effective as we can. We call upon the cover names of these officers to be released in full. How else can current core participants play an effective role in the inquiry? Photographs of each officer from the period they were deployed should be provided to allow those to identify the officer and provide details of their operations. Upwards of 1,000 groups have been spied on since 1968 - those group names should be released. In addition, we call for a panel of experts to sit with Mitting. That should include representatives of trade unions and anti-racist and anti-sexist campaigns.